The IDWC elects officers at its annual breakfast meeting in Boise the morning after the Frank & Bethine Church dinner. Information about elections can be found in our by-laws. The executive committee is comprised of the president, vice president, secretary, past president and directors for regions 1, 2, 3, 4, 5, 6, 7. 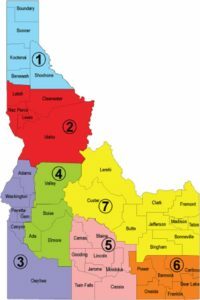 Representatives of member counties also nominate a representative to serve on the IDWC State Executive Committee as an ad-hoc member. 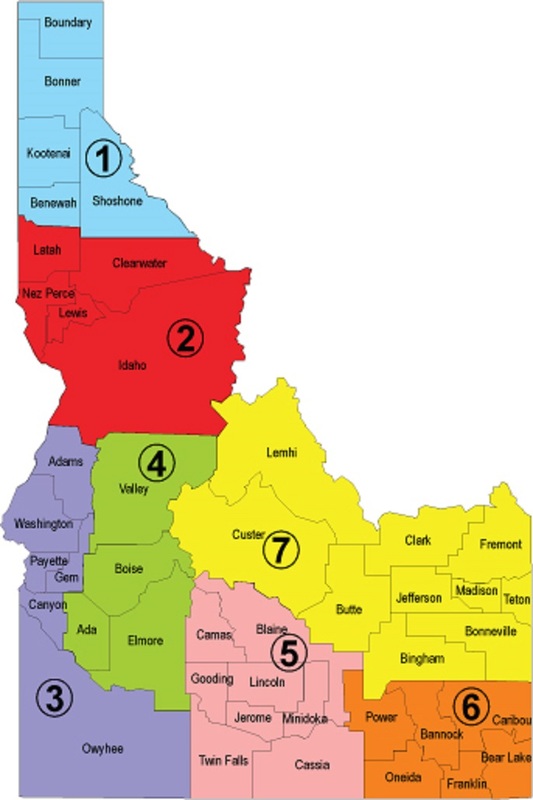 Our organization represents Idahoans from various parts of the state and backgrounds who are interested in running for public office at every level of government. Gini lives in Hailey with her husband, Jeff. They have raised four children and have three grandkids. Before serving with the IDWC, Gini was co-chair of Blaine County for Obama, past Chair of the Blaine County Democrats, Chair for her county chapter of Mothers of the Military, Chair of the City of Hailey Planning & Zoning Commission and involved with several community organizations. 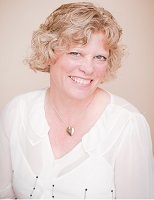 She works as the Administrative Assistant for the Wetherell Company in Ketchum. When not at a training or rally, you can find Gini and her husband on the dance floor or the golf course. 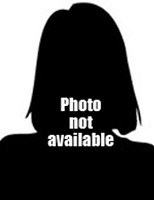 Tamara is a recent transplant to Boise from Pocatello via McCall. 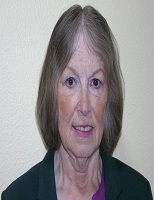 She has served as both Region 6 and Region 4 Director for the IDWC. As a member of Bannock County Democrats, she has raised money both for the County Party as well as female candidates for Office. 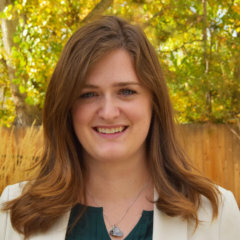 She is currently working as the Operations QA Manager at Johnson Brothers Hospitality in Boise. She is an advocate of spending time in the great outdoors and enjoys spending time with family and friends. She is a strong Democrat who works hard to help get more and more women elected in Idaho! Bev is retired and lives in Hailey with her husband, Brent and their Schnauzer, Annie. They have six children, 31 grandchildren, and soon to be 9 great-grandchildren. Until recently, Bev served as Treasurer of the Blaine County Democrats and serves on the State Central Committee as State Committee Woman. She serves on a local Board and volunteers with several local non-profits, including “I Have a Dream Foundation” and “Hunger Coalition”. 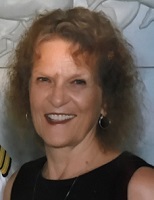 When not traveling with her husband, she spends her time quilting, knitting, golfing and spending time with the “grands”. Barbara has been a devoted Democratic activist for decades. She has been a strong leader of the labor movement including 15 years as president of the Northern Idaho Central Labor Council and is still a dues-paying member of International Brotherhood of Electrical Workers Union even after retirement in 2009. 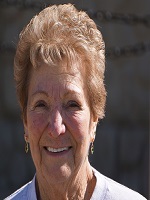 She chaired the board of United Vision for Idaho (UVI) from 2000 to 2002 and remains a board member. She has participated in UVI’s efforts to reform campaign finance reform and to provide healthcare access to all Idahoans. She was a co-founder of UVI’s political arm, United Action for Idaho. She lives in Caldwell with her family including 5 great-grandchildren. Pat has a passion for helping people and bettering her community. She organized the Idaho Network to Stop Violence Against Women (aka the Idaho Coalition Against Domestic and Sexual Violence), which secured the passage of legislation to help victims of domestic violence and sexual assault. They gained statewide funding for the shelters and created the Idaho Council on Domestic Violence. She was appointed to the Council and later served as the Chair. Her efforts with the Council helped gain federal Victim of Crime Funding for all Idaho victims of violent crime. She and her husband currently farm 20 acres where they raise sheep for their wool and have a spinning and weaving shop. 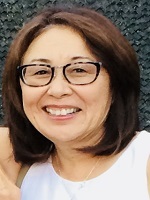 Karen is a third generation Japanese American who retired two years ago from the Blaine County School District after 27 years as a Kindergarten and Dual Immersion teacher. As an advocate for minority students and teachers, she held positions in her local and state teacher’s association and served on the Idaho Education Association Board of Directors as the state Minority Representative. She was the Minority Caucus Chair for 6 years and was on the IEA Human and Civil Rights Committee as a board liaison. Karen’s passion now is teaching ESL to adults at the College of Southern Idaho, playing the violin in a community orchestra, and spending time with her grandchild. Linda is a current Pocatello City Council member and a former ISU professor. She has a bachelor’s degree from Virginia Tech, a Master’s degree from Georgia State University, and a Master’s and Ph.D. from Bryn Mawr College in Pennsylvania. Before becoming an educator, I worked in the design and architecture field, gaining valuable experience managing multi-million dollar projects. 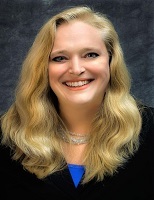 She is active in a number of non-profit organizations, holding leadership and board positions, and has continued to organize events to inform and benefit her local community. She is a strong advocate for women in public office. 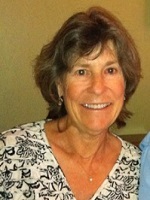 Julie is a retired educator with a career encompassing thirty-four years as a public school teacher. She also spent nine years as a Trustee and Chair of the Blaine County School District Board of Trustees. She was one of five nominees for the 2010 Idaho Mountain Express Woman of the Year award. Her political volunteering includes precinct captain, secretary to Blaine County Democrats, state delegate, and a delegate to the 2000 Democratic National Convention. She and her husband live on their ranch in Mackay, Idaho and are proud to call Custer County home. She has three adult children and two granddaughters.